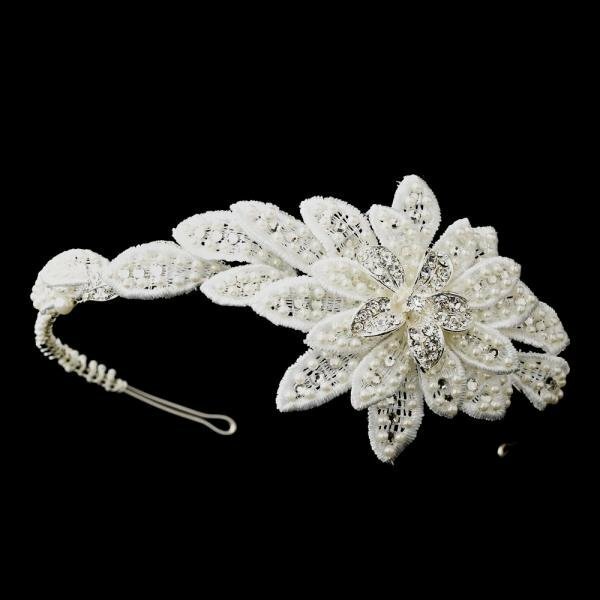 Elegant and beautiful, this vintage inspired floral bridal headband has a stunning rhinestone encrusted flower set to the side with faux ivory pearl and rhinestone detailed petals flowing from the centre. This headband is perfect for all bridal party members, including the bride herself, the bridesmaids and even the flower girl. Size: design extending 20 cm on a 30 cm band. 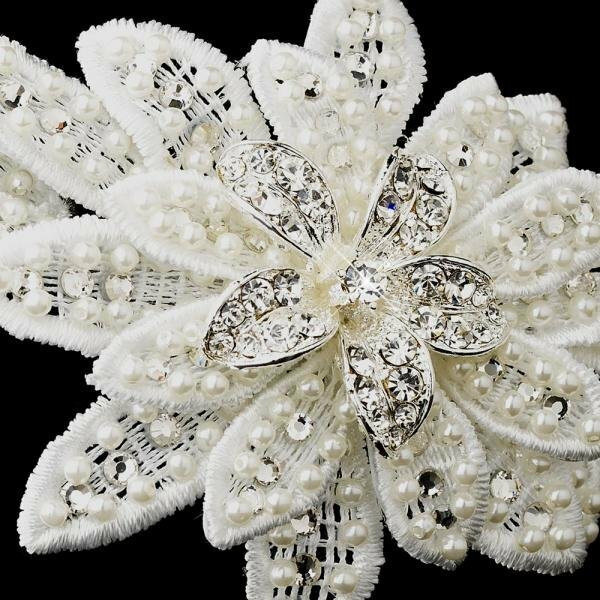 I purchased this headband for my wedding, it is absolutely beautiful, and looks so much more beautiful in real life, it matches with my dress perfectly, I also received the item within 2 days from placing my order, very impressed with the service by How Divine, Thanks Nicole!